While some state residents might not think anything of seeing animals at home on the farm, others can go to the Pennsylvania State Farm Show and see more than 6,000 animals. 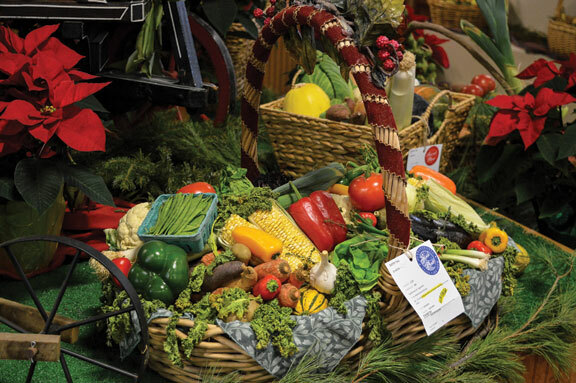 They can also attend cooking demonstrations, educational displays, and celebrity contests, and sample all kinds of food at the 103rd annual show, which opens Jan. 5 and runs until Jan. 12 at the Farm Show Complex and Expo Center in Harrisburg. With 24 acres of agricultural entertainment, it is the largest indoor agricultural exposition in the country, welcoming more than half a million visitors each year. The Farm Show boasts eight full days of shows, competitions, demonstrations, and exhibits. One of the show’s newest attractions is its first ever beer competition. and weaved by a team of artisans into beautiful competition shawls. angora fibers from the bunny to the loom at Angora Palooza. cotton-tailed competitors hop along an obstacle course. pile the most ice cream on a cone before time runs out. purchase. New this year, witness breathtaking freestyle bull fighting. products—ready to purchase in bulk. chance on Jan. 11 in the Equine Arena. Farm Show Admission is free. The best time to visit the Farm Show is between 9 a.m. and 12 noon. The busiest times are weekends and weekdays from 3:30 p.m. to 5:30 p.m. Parking is $15 per car at all Farm Show Complex lots. At peak times the main parking lot can fill up. Stay tuned to the Farm Show’s Facebook page for lot updates. You can also unload everyone at the main entrance of the Cameron Street Lobby, then park the car. Follow the Pennsylvania Farm Show on Facebook, Twitter, or Instagram to hear more about the show’s happenings, a full schedule of events, promotions, and more.